Acupuncture appointments range from $65* to $203*, depending on what your provider recommends for treatment. The average cost for Initial evaluation/treatment is $160* and the average for a follow-up appointment is $115*. These fees do not include pay at time of service discounts for non-insurance customers. Please call for additional information. *Discounts cannot be applied to packages and don’t apply with Insurance Coverage. Relief Care Introductory Package -To promote healing of obvious signs and symptoms, visits are frequent depending on the severity of the symptoms. Generally, 1x week for symptoms rated 5/10 or under, 2x week for symptoms rated 5-8/10 and three treatments within 10 days for symptoms rated 8-10/10. Relief Care Follow-up Packages-For conditions that are responding to treatment during the introductory package, but are more chronic requiring additional frequent treatments. ~~~4 treatment pack…………………………………….. $295 ($45. savings)-must be used within 6 weeks. ~~~6 treatment pack………………………………………$420 ($90. savings)-must be used within 8 weeks. Corrective Care Package-Signs and symptoms have been greatly reduced or resolved, this phase of care continues to work on the root of the problem, supports the changes achieved and continues to work on deeper healing. Generally, every other week visits. ~~~4 treatment pack…………………………………….. $295 ($45. savings)-must be used within 9 weeks. ~~~6 treatment pack………………………………………$420 ($90. savings)-must be used within 13 weeks. Wellness Package- Wellness care is the root of healing and preserves the progress made, further strengthens your body’s resistance, keeping you healthy, balanced and boots your chance of preventing illness. Visits generally monthly, every other month or seasonal. ~~~14 treatment pack*………………………….…………..$980 ($210 savings)-must be used within 12 months. *monthly visits plus 2 relief care visits. ~~~7 treatment pack*…………………………………………$510 ($85 savings)-must be used within 12 months. ~~~Seasonal treatment pack (4)………….…………….$295 ($45. savings)-must be used within 12 months. *Please check with your provider for recommendations on which package is best for your condition. *Packages are for non-insurance customers only and cannot be combined with other discounts. 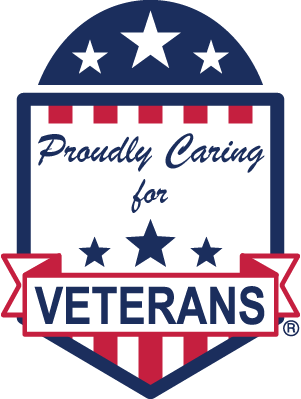 -VA Community Care- All new VA authorizations must be through their local VA Medical Center PCP. If your health insurance plan is not listed here but you have Acupuncture benefits combined with out of Network benefits, we can submit your claims as a courtesy. Payment for services will be due at time of service. —Please check with your health plan for information about deductibles, co-pays and/or co-insurance. Co-pays and Co-insurance is due at time of service. 1. Call the member services number on the back of your Health Insurance card and ask if Acupuncture Services are covered. Ask if there are any diagnostic code restrictions. Some insurance companies say they cover acupuncture but only for specific conditions. 2. If covered, is it: in-network? out-of-network? is there a co-pay? a deductible? is there a limit to the number of visits? Write down this information and bring to your first appointment along with your medical card. If they tell you my office is out-of-network, you may have recourse to make it ‘in-network’ (which means less copay/deductible). Tell them you wish to receive a gap exception to see Diane Chase, L.Ac. at ‘in-network’ rates. This is because there are no network providers within a ‘reasonable’ distance. They will usually prepare a form to set things up accordingly. This form should be mailed to you – and to my office as well. If you have HealthNet Federal Services Veterans Choice Program, your Acupuncture services are typically covered at 100% with authorization from HealthNet. You can either get a referral from the VA or call the number for HealthNet VCP and request to receive acupuncture services from my facility. 3. If covered, is it: in-network? out-of-network? is there a co-pay? a deductible? is there a limit to the number of visits? As a courtesy, I am able to provide a form called “super bill”. This form will list the required medical coding needed by insurance for reimbursement. This would be the clients responsibility to submit to their insurance company for any potential reimbursement. If you have any other questions regarding insurance, please contact customer service on the back of your insurance card. Also, if your insurance does not cover acupuncture, you may be able to use a Health Savings Account (HSA) or Flex Spending account which will allow you to save money tax free and use it for medical expenses outside of your coverage such as acupuncture, eye care, etc. You should contact your insurance company and/or banking institution with questions about these plans. What are Medical Flexible Spending Accounts? One of the few ways you can cut out of pocket medical expenses is through medical flexible spending accounts (aka, flex spending account or FSA). A medical flex account is an employer-provided benefit that allows you to contribute a set amount from your paycheck in order to cover out-of-pocket medical, dental, and vision expenses such as health insurance co-pays, uninsured treatments, or even over-the-counter drug purchases. The funds are usually deducted through regular, equal payroll deductions. The good news is that money deposited in a flex account is exempt from federal, state, and payroll taxes. Because taxes are not calculated on your contribution, your paycheck is not reduced by the full amount you set aside. Using this concept of “pre-tax” dollars can reduce your medical costs by as much as 30% depending on your tax bracket. Let’s say for example, you have a $100 per pay period deduction….your actual check may only be $75 smaller because a smaller amount of taxes were withheld.